Do you have a weekend ritual? Something you look forward to every week? It might be a trip to the shops or a few hours binge watching a TV series (just did it with season two of Wonderland). Besides those essential things, my ritual involves fresh fruit and vegetables, breakfast in the sunshine and good coffee with E. That’s right, it’s food related (of course). If you follow my Snap Chat (missemmasssssss – seven s’ yes) you would have seen a whole lot of bagels, juices and coffee cups in the grass on my Sunday story. That is because every Sunday E and I visit the Vic Park Farmers Market! You can read more about the market here, but today I wanted to share my Top 3 Market Eats if you’re looking to spice up your weekend routine and support local small businesses. Think fresh, boiled artisan bagels in every flavour combination possible. I’m quite partial to the Olive, Garlic and Rosemary Bagel whilst E keeps it simple with the plain variety. 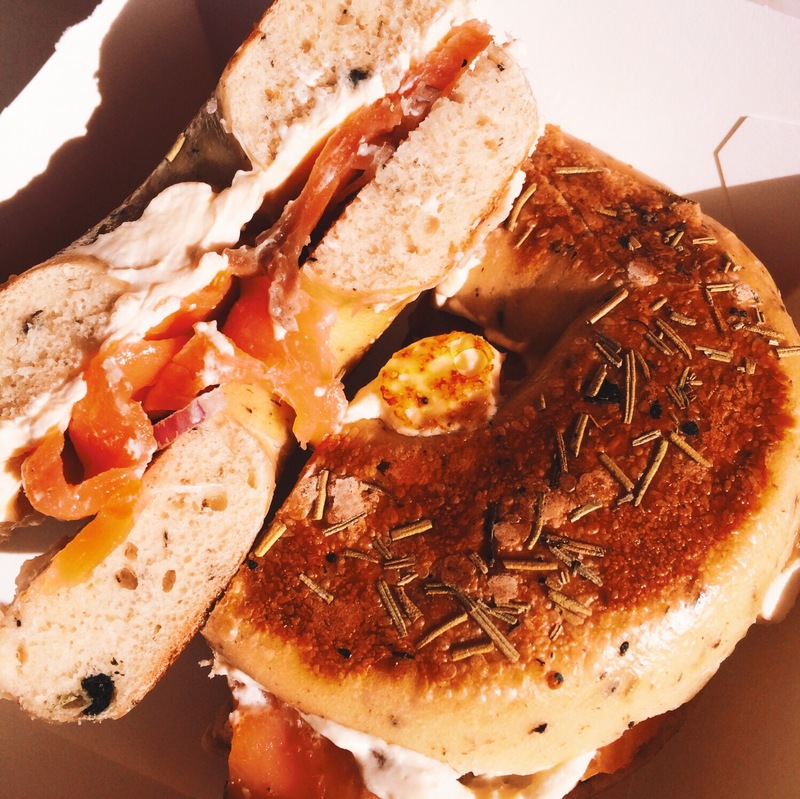 With fillings including a classic cream cheese or the more gourmet salmon, red onion and cream cheese there really is a bagel for every kind of flavour palette. If you’re more of a sweet tooth they do salted caramel. I know what I’ll be trying this weekend! What I consider to be a cross between a pancake and a crumpet, these hand made serves are a real treat! Cooked on site, the light, fluffy crumpets are truly made with love, which is perfect on a chilly Winter morning. I can’t pass up the Eggs Hollandaise Crumpet served with perfectly poached eggs, thick, creamy hollandaise and a flavour bomb of spices. I was very surprised the eggs were cooked so well considering they were poached in the middle of a park, but they’ve been spot on every time. E prefers her crumpets with maple syrup and almond flakes. Again, something for everyone. Yum. As soon as we returned from holiday to Vietnam I made my way straight to this Asian fusion stall for a delicious serving of Banh Mi! 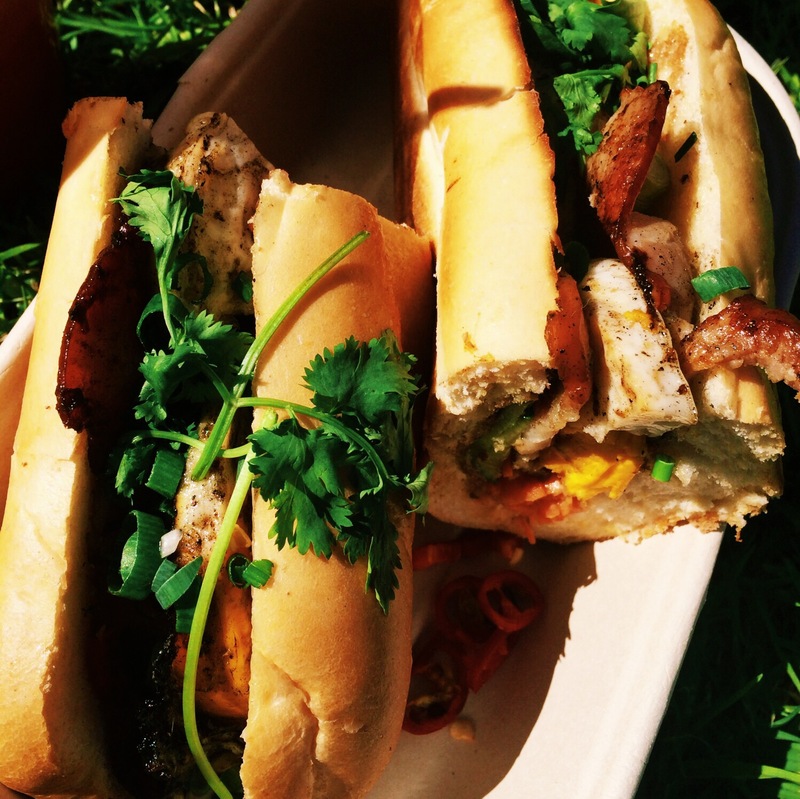 If you don’t know Banh Mi think a fresh baguette stuffed to the brim with your choice of marinated, slow cooked meat (I always get the juicy pulled pork), fresh veges, a swipe of fancy pâté, herbs, Japanese mayonnaise and plenty of chilli. Oooh yeah. Baguette Me Not also does a pretty mean brekky version of the treat with a pinch of Asian flavour. No other words needed, just pick yourself up one. If you’re near Subiaco they’re also served at RokArt Cafe on Rokeby Road. A special mention to the brilliant baristas working the market week by week. They always get my coffee order just right, even though they are always crazy busy. The juice kings and queens at Juici Pop Up also deserve credit for a forever delicious fresh squeeze. E’s recommendation; The Refresher. Ginger, carrot and apple. It almost wakes her up as much as her usual weekend Coke. If Vic Park isn’t your local, here are a few more farmers markets to explore this weekend. 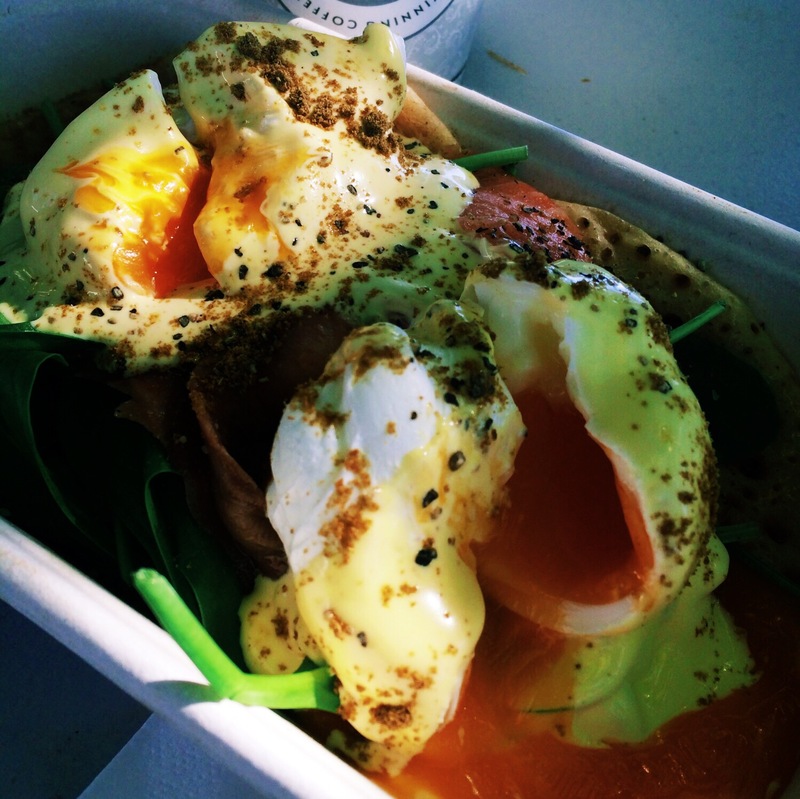 As much as I love a tasty brunch club outing at a cafe, there’s nothing better than a good old fashioned breakfast on the grass in the Winter sun! Perhaps you should ditch your local cafe this weekend and check out your local market! What is your Sunday morning ritual? I’ll take you one day T!